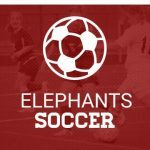 Red Elephant boys soccer came home tonight with a win over Lanier. Gainesville put 6 goals on Lanier and held Lanier from scoring. 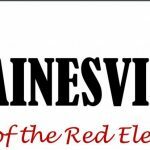 The 6-0 win over Lanier gives Gainesville first place in region 8. Gainesville will face Apalachee there on Tuesday. Go Big Red!!! 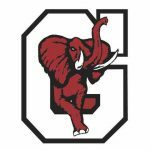 Red Elephant boys Soccer defeated Winder-Barrow 2-1. The boys will travel to Lanier on Friday. Go Big Red!!! A region 8 contest for Gainesville boys soccer at Habersham Central turned out great. Gainesville was able to put 3 scores on the board to Habersham Central’s 2. Gainesville comes home with the win and hopes to build on that Friday at Dacula for another region 8 contest. Go Big Red!!! Gainesville boys took on Chestatee Tuesday at Chestatee. Big Red came away with a 1-0 victory. The boys will host Johnson on Friday. Go Big Red!!! Boys soccer took on Millcreek today and was victorious with the final score being 3-2. The girls were not as successful though as they lost 0-11.